I have, since the first Photobook Club event, thought about how a short publication with the key principles of the project and voices from different communities around the world would be helpful. Not a guide as such but something solid, the product of the many communities which could serve as record of what we have, and continue to do, and how we go about it. The publication will be in a single, multi-lingual edition so will also be looking for some help with translation. It’ll be run off on my local laserjet and ‘designed’ by me in order to keep things in the spirit of the PBC — a little disorganised and rarely polished but vibrant, critical and purposeful. This said, if anyone has particular thoughts about design and production please get in touch. The publication will of course be free. 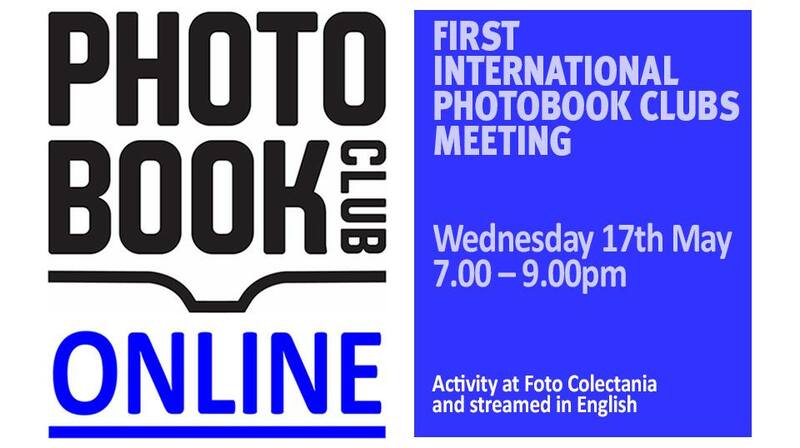 Great to hear rumblings of Photobook Clubs in Ecuador and Seoul with more details coming int he next few weeks. In the meantime, if you are local (Guayaquil in Ecuador) then please pop me an email so I can forward on your details to the organisers. In other news, it has been about 4 months since the launch of the 2 surveys of photobook readership I put out with the intention to build a picture of the ways in which we interact with (buy, read and speak about) photobooks. If you have taken part, a huge thanks. If you have not yet I hope I can ask you to spend some time filling out the anonymous survey which is already producing some fascinating insights. 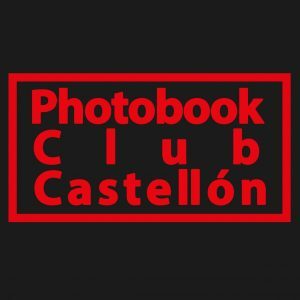 Below are three links, the first to anyone who reads photobooks, the second only to those who have attended a Photobook Club event, and the third in Spanish for those who have attended a Photobook Club. While there is definite merit in list forming as a means of introduction and suggestions, it is something I am a little uncomfortable with. The Photobook Club was set up in part as a pragmatic response to canonisation without qualification and seeks to enable open and non-hierarchical discussion. So with this in mind I have asked a number of Photobook Club organisers from around the world to suggest the photobook(s) that their community has had the liveliest discussion around. These choices come from Photobook Clubs in Barcelona, Buenos Aires, Coventry, Madrid, Monterrey, Montevideo and Tokyo. Julián Barón, Dossier Humint, 2013. Martin Bollati, La forma Bruta, 2016. Musuk Nolte, La Primera Piedra, 2013. Xavier Miserachs and Horacio Fernández, Miserachs Barcelona, 2016. Txema Salvans, The Waiting Game, 2014. Nozomi Iijima, Scoffing Pig, 2013. Rodrigo Ramos, Ex Corde, 2015. Paul Gaffney, We Make the Path by Walking, 2013. Vasantha Yogananthan, Early Times, 2016. As part of my current research I am looking to explore ‘readership’ and the photobook — how we find, buy, read and speak about the photobook. For me, this is important if we are to better understand the form and how it operates and not only speak about its popularity. 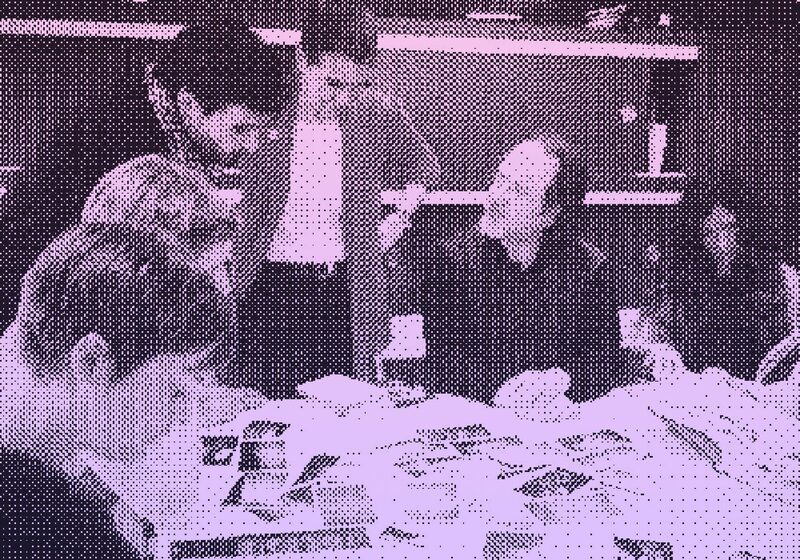 The most significant part of this process is hearing from as many photobook readers as possible and so I have created a survey for anyone who has ever attended even one single Photobook Club event which can be found here – http://bit.ly/2duhgKH (organisers can also fill this out please!). And, thanks to the kindness of Juan Cires, there is a Spanish version also – http://bit.ly/2fjA5zW. I would be very grateful for anyone who has attended a meeting to fill this out, a process I hope you might also find interesting. In addition, there is an ‘open’ version of this survey for anyone who has ever picked up a photobook — not just those who have attended Photobook Club meetings. That link can be found here – http://bit.ly/2fCDtXe. I would be so thankful for your time in this or in sharing with others who might be able to take part — the results (which are anonymous) will soon feed into public presentations of photobook readership for anyone who is interested to get an insight into the lives of books and readers. Yes, this is the fourth year we are celebrating World #PhotoBookDay. October 14th marks the anniversary of the purchase by the British Museum of the first known photobook: Photographs of British algae. Cyanotype impressions, by Anna Atkins. Now this first copy belongs in the British Library. We celebrate our passion for photobooks, we rejoice that Anna Atkins bound some cyanotypes, we commemorate every book we have on our shelves, we applaude all the libraries buying photobooks and photozines, we love every person who love photobooks! Post a #PhotoBookDay Selfie or Shelfie on social media: an image with you and your current favourite photobook. Ask your local library to buy local self-published photobook and photozines, we are sure you can give them some ideas. If you are in charge of a library, consider to purchase and support self-pulished photobooks and photozines on this special day and mark your book record with a special note to PhotoBookDay. If you make or sell books, offer your customers discounts or some special goodies. If you run a bookshop a special 5% discount will make your clients happy. 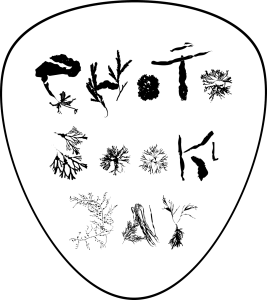 Don’t forget to announce it with #PhotoBookDay on your usual social media channels. And please, tell us what you did for World PhotoBook Day 2016. We hope we all have fun this day with photobooks. A survey of photobook-specic happenings in the US and Europe. 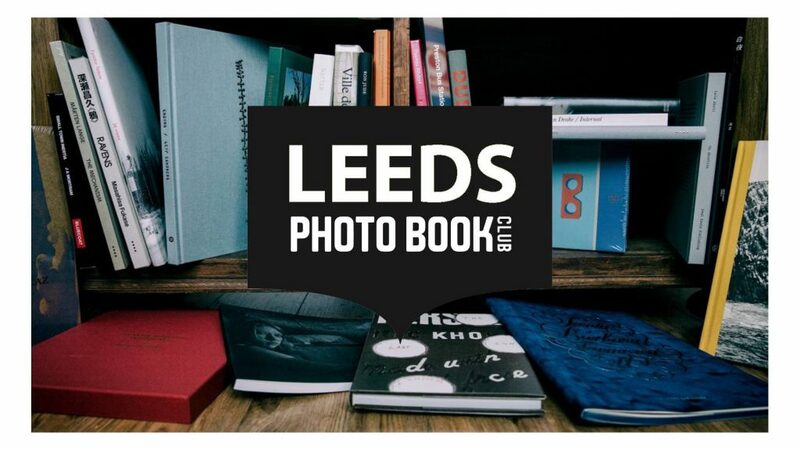 This survey intends to visualise and in a sense, flatten, the many events, competitions and workshops that are taking place around the photobook right now. In doing so, a lineage — or at least a chronology — can be established, demonstrating a growth of interest and increasing institutional support in the medium. It has been put together with the view that it will act as a record not just of 2015 but the new age of the photobook (golden or otherwise). is research is concerned only with photobook speci c events and only covers the US and Europe. is is not because these geographical areas can be seen as the home of the photobook – not by any means, but because this is both the focus of my broader research project, and provides an opportunity, through networks, to realistically claim con dence in correctly recording and listing the vast majority of appropriate events. e choice to begin with the year 2015 is similarly bene cial. While of course many events have run in earlier years, or are starting up in 2016, the single year provides a baseline from which to work back in establishing the aforementioned chronology and origin. Only photobook-speci c events have been recorded — a choice which, if aiming to build a picture of the variety of spaces in which the photobook is present, would be disastrous. Here, art book fairs and non-medium-speci c zine workshops for example, have been excluded. In doing so it is hoped that clarity is improved and subjectivity removed. Fairs and festivals are subject to a further limitation in that they must be multi-day events. Once again a choice of clarity and con dence and not a suggestion that single day events are not a part of the photobook world. Many single day events have been arrived at during this research, the transient and o en independent nature of which have on many occasions presented quite di erent ideas on what the photobook, and what a photobook event should be. A list of thanks can be found on the right hand side of this visualisation — these are people who have contributed to this survey and without whom many omissions would have been made. ere are likely still some errors or misses so please do get in touch if you have any: matt@photobookclub.org. A scroll of this document will be produced in Autumn of 2016 on lightweight poster paper, if you are interested in having a copy, please email the above address. Despite a relatively strict set of criteria for the events listed here, it was inevitable that I would miss over signi cant happen- ings. In sharing beta versions of this research I was grateful to receive help from a number of contributors. My sincere thanks to Tommy Arvidson, Bonifacio Barrio Hijosa, Ana Paula Estrada, Sarah Greene, Jose Félix Liébana, Hermann Lohss, Malcolm Raggett and Hannah Watson who all got in touch to share information. If you see absences and would like to aid the building of this resource, please get in touch – matt@photobookclub.org.